The "Walkman" brand name, originally created by Sony over 30 years ago, lives on in Sony Ericsson's newest Android device, the "Live with Walkman". This diminutive smartphone, announced in a press release earlier today, will be a music playing device first and foremost with a dedicated music discovery button and "deep Facebook integration," which means it will most likely carry something similar to (or exactly like) Sony's "Facebook inside Xperia" interface. xLOUD audio technology which enhances the audio output of the inbuilt speakers at higher levels. There is no word yet on price, but the device should be available in selected markets from Q4 2011. 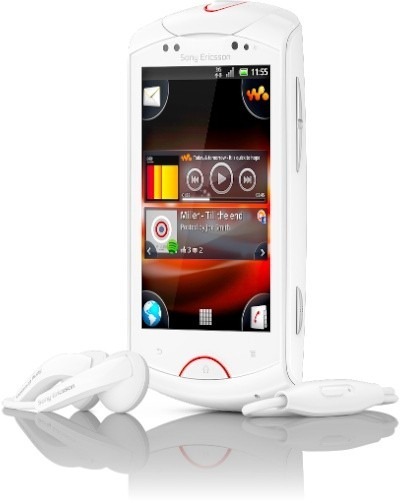 22 August 2011, London, UK – Sony Ericsson today announced Sony Ericsson Live with Walkman™, an Android smartphone that delivers a unique social music experience. A dedicated Walkman™ hardware button provides instant access to the music player and consumers can also like, share and discover content through a deep Facebook™ integration. The infinite button lets the consumer explore even more and the *Qriocity service from Sony provides music and video content for the consumer to enjoy.